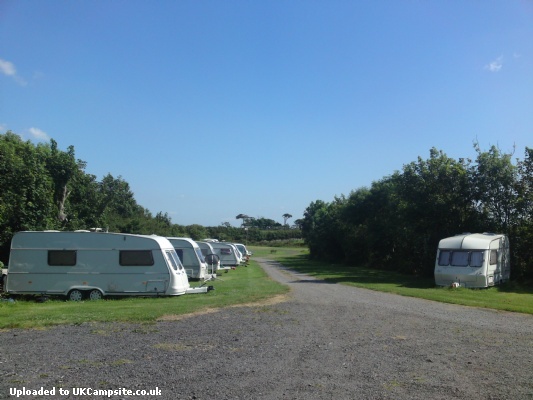 Bodowyr Caravan Park and Farm on Anglesey is set in peaceful, rural countryside, and is close to many beautiful beaches, whilst also being an incredibly convenient stopover for those taking the ferry to Ireland from Holyhead. 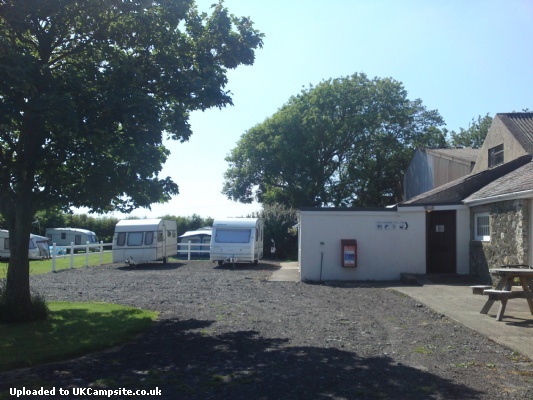 Our caravan and tent pitches all feature electric hook-ups and nearby drinking water points, whilst our toilet block boasts hot showers, a coin operated laundry as well as access and facilities for disabled visitors. 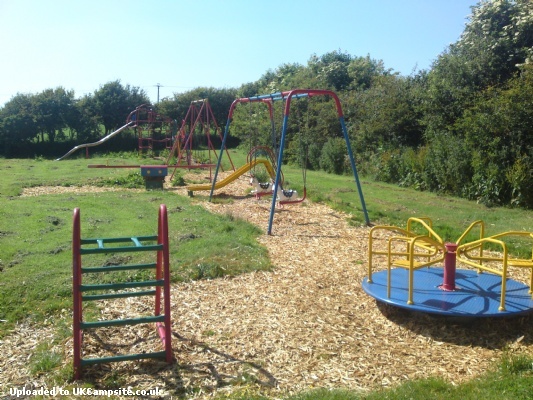 For the children, there is a playground and football field with goal posts! 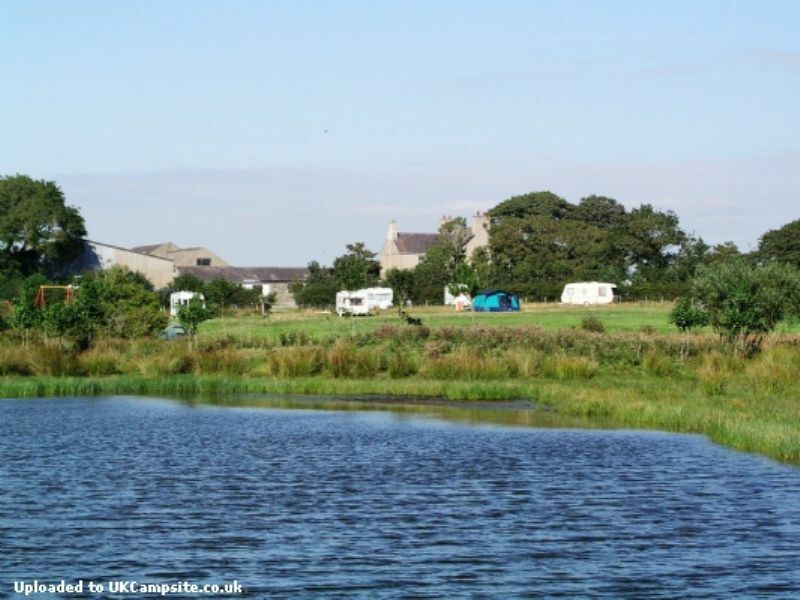 On site, we also have a beautiful lake that is stocked with rudd, roach and perch, which our guests are welcome to fish for at no additional charge. Attracting a wide variety of birds, our lake is a bird watchers paradise, all accessible on the, recently restored, lakeside walk. We are open between March and October, though booking is advisable, particularly during peak season. 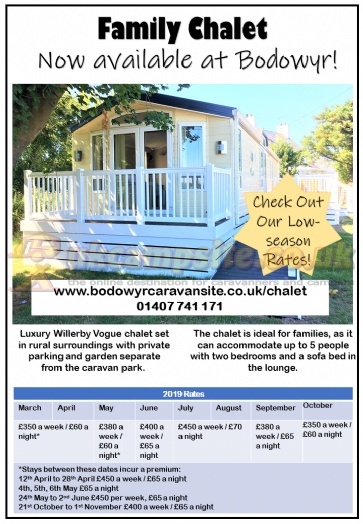 Our luxury Willerby Vogue chalet is set in rural surroundings, overlooking our agricultural land, with its own private parking and garden that is separate from the main caravan park. 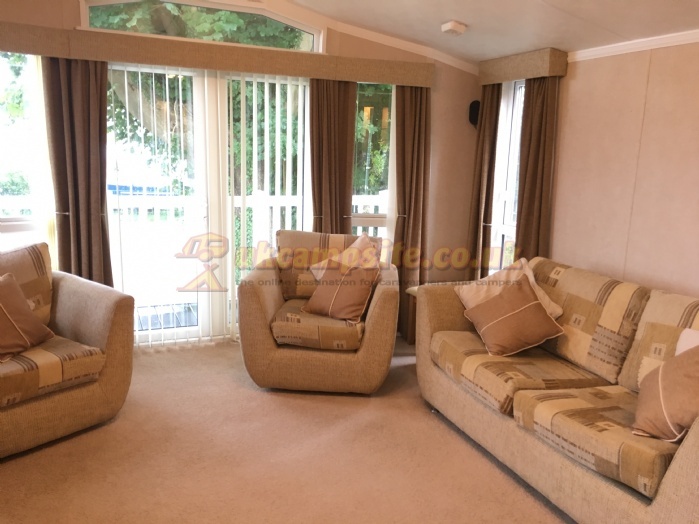 Being able to accommodate 5 people, the chalet is ideal for families, having a double-bed master bedroom with en-suite shower room and walk in wardrobe, twin room with separate family bathroom and the option to convert the sofa bed in the lounge. 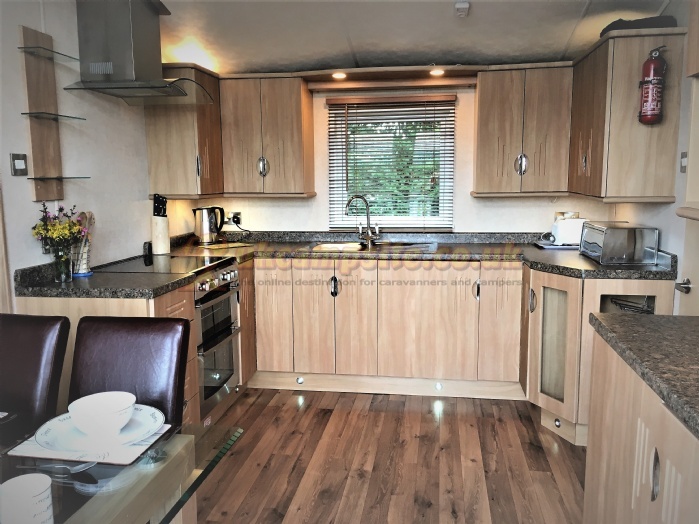 The kitchen comes fully equipped with an integrated fridge freezer, gas oven and hob, washing machine and microwave as well as all the utensils you could need. 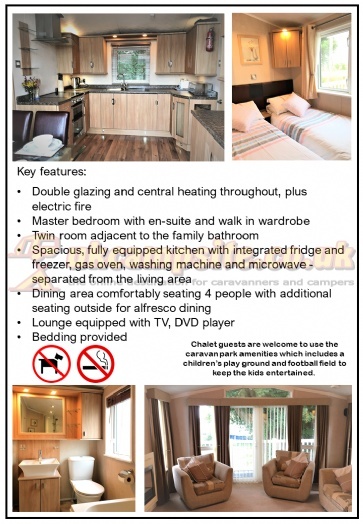 Chalet guests are welcome to use the caravan park amenities which include a childrens playground and football field to keep the kids entertained. 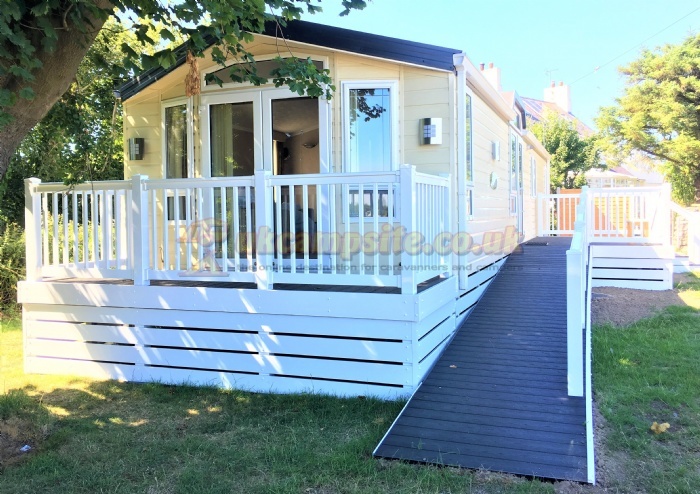 Prices range from £350 to £450 per week depending on season. 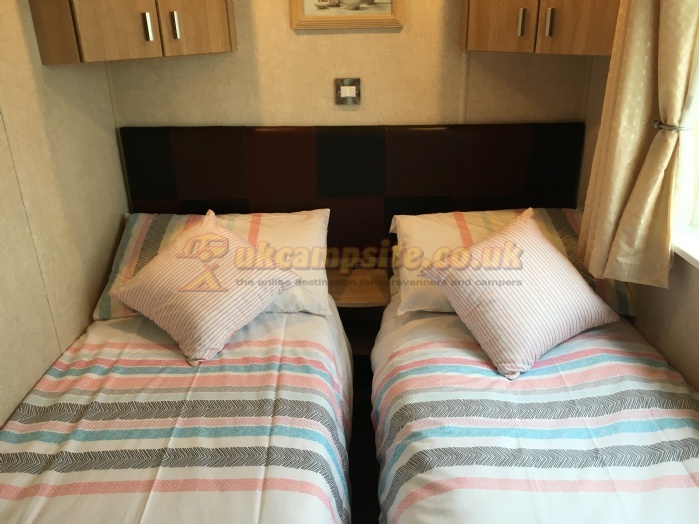 Please see gallery pictures for more details. Please note there is a strictly No Smoking policy and no pets are allowed. 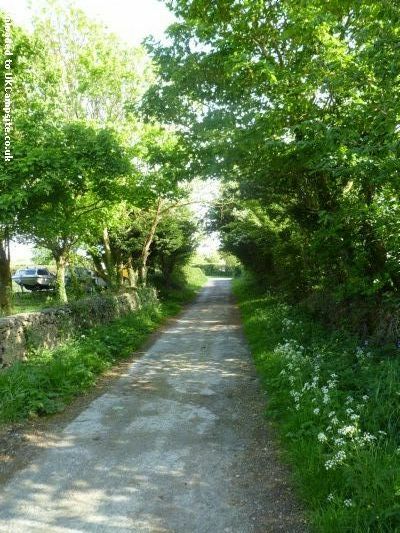 Bodowyr is signposted from Junction 4 of the A55 with brown camping and caravan park signs. Take the A55 across Anglesey from Bangor. Exit at Junction 4. Follow the brown camping and caravan park signs towards the direction of Bodedern. 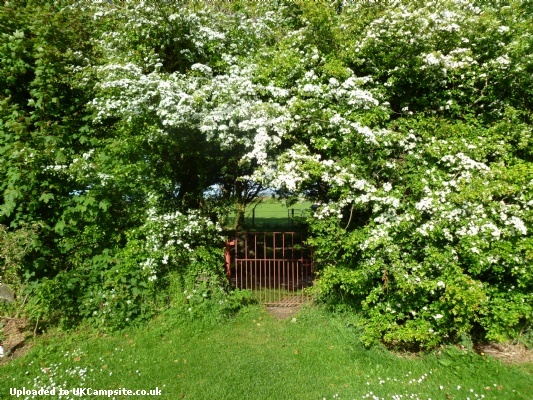 The entrance to our site is on your left after about 0.5 mile. For the security of caravans and campervans on site, half-way along the lane are vehicle security posts, which prevent unauthorised access to the site. 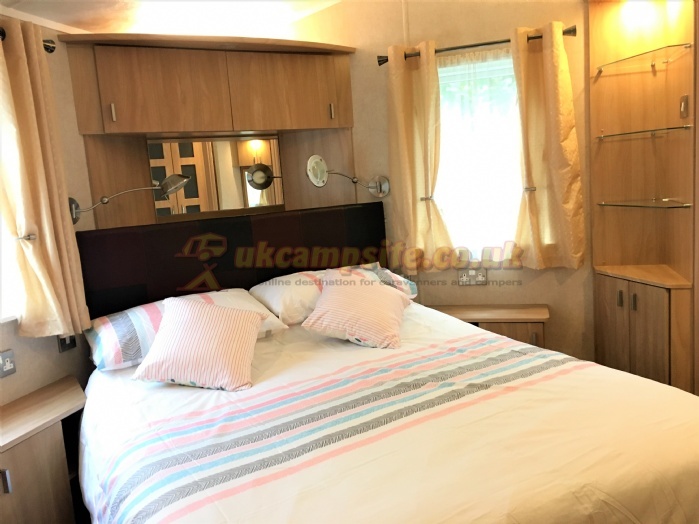 If arriving in a motorhome or towing a caravan, please phone the farmhouse telephone number upon reaching these posts and we will open them for you.